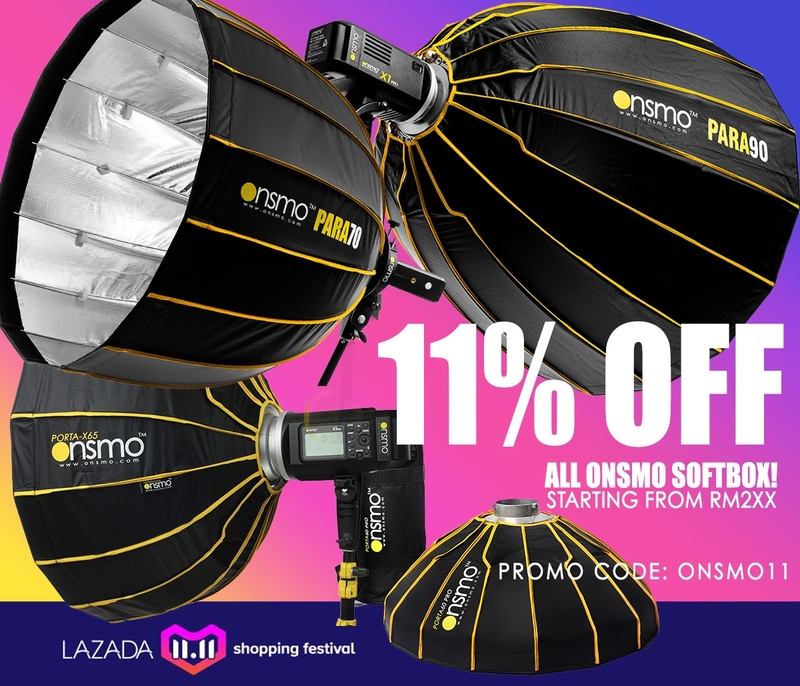 The GamiLight Octave 36 is a octagonal, large diameter, softbox that is perfect for creating a controlled column of beautiful, soft, flattering light with a pleasing round catchlight. Particularly well suited for portrait and product photography, this modifier enlarges the flash head by about 45x and is designed to provide professional results using standard "speed light" flashes in a durable, lightweight, easily portable package. The innovative design utilizes multiple diffusion panels and a highly reflective silver finish to generate a powerful light source. One "Large" mounting strap will be included in the package, suitable for flash sizes comparable to the models listed below: Canon 580EX II, 580EX; Nikon SB-900; Olympus FL-50R, FL-50; Panasonic DMW-FL500; Pentax AF-540 FGZ; Sony HVL-F58AM; Metz 58 AF-1, 50 AF-1, 54 AF-1, 44AF-1; Nissin Di866 Mk II, Di866, Di622 MK II, Di622; Sigma EF-530 DG ST, EF-530 DG Super, EF-500 DG ST, EF-500 DG Super; Yongnuo YN560; Note: Also available with "Small" mount as well for smaller sized flash units! Contact us for details!